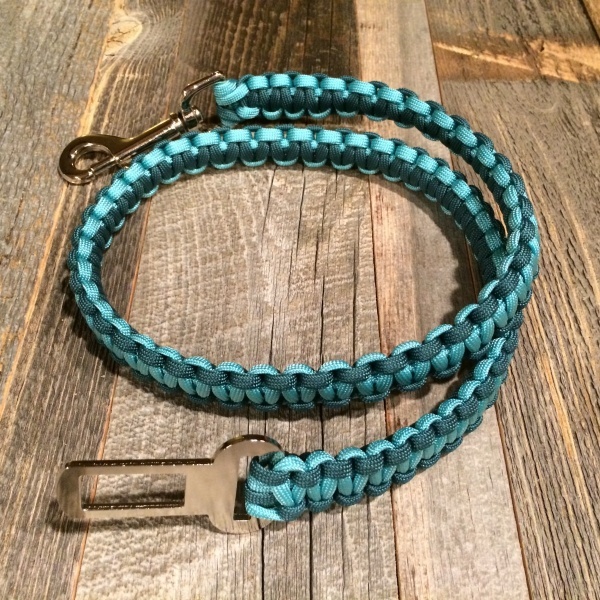 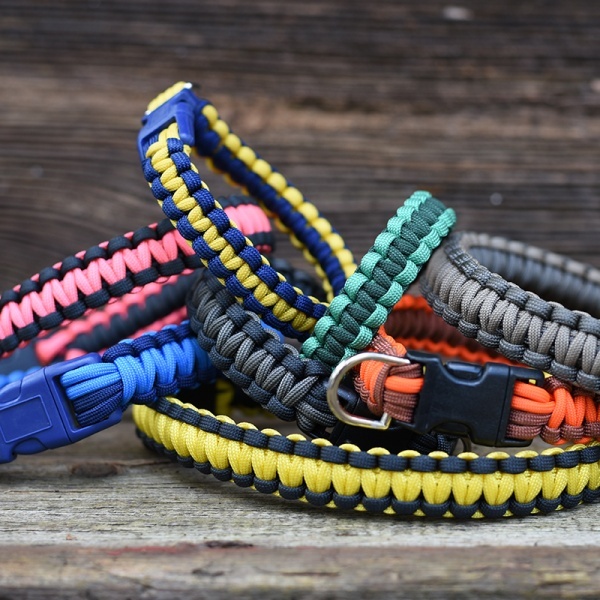 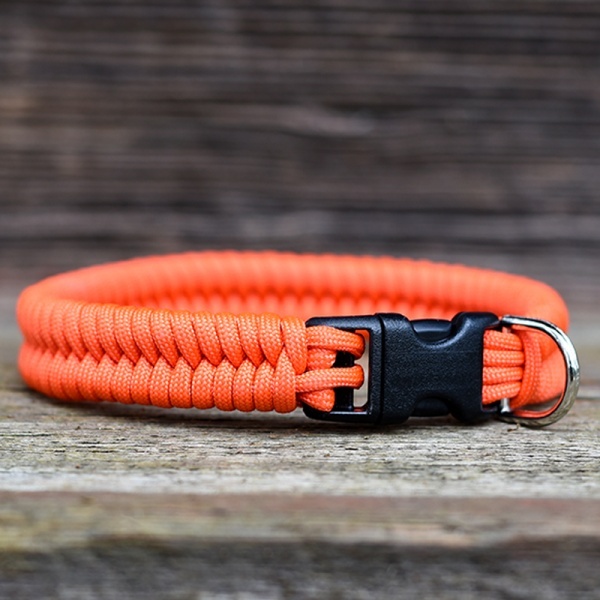 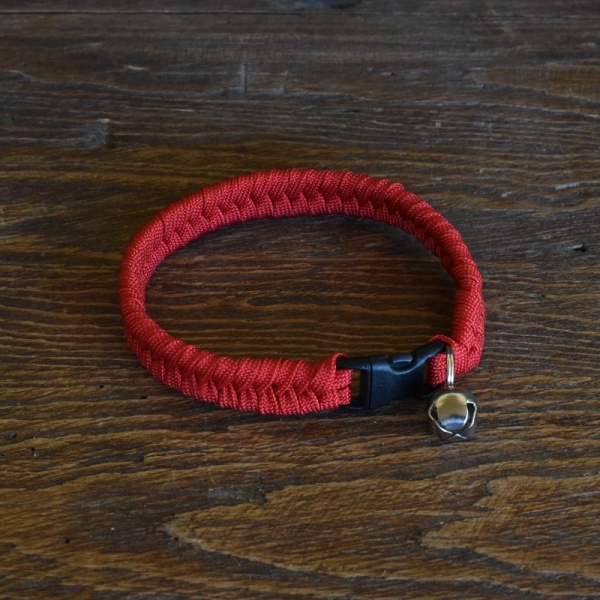 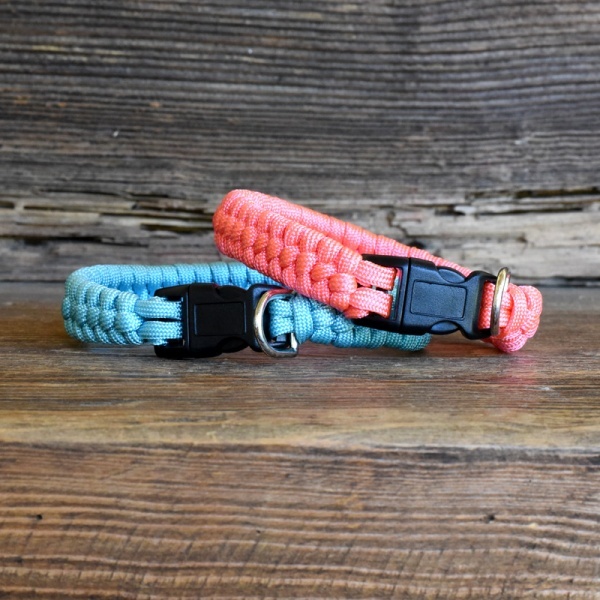 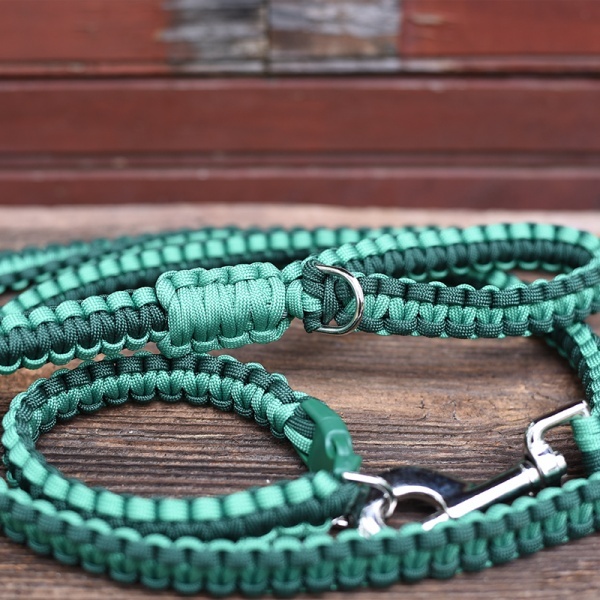 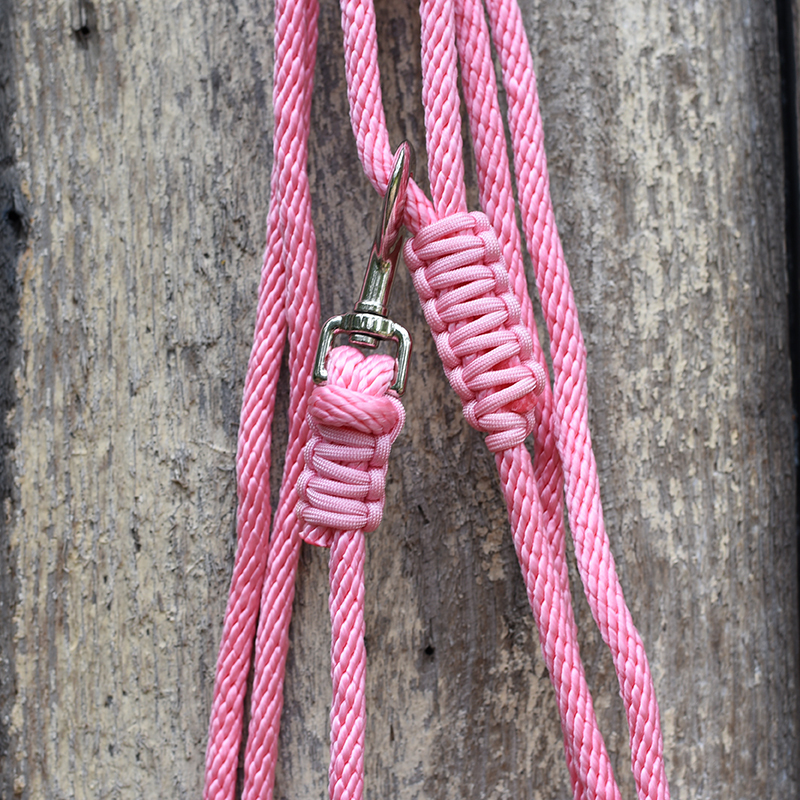 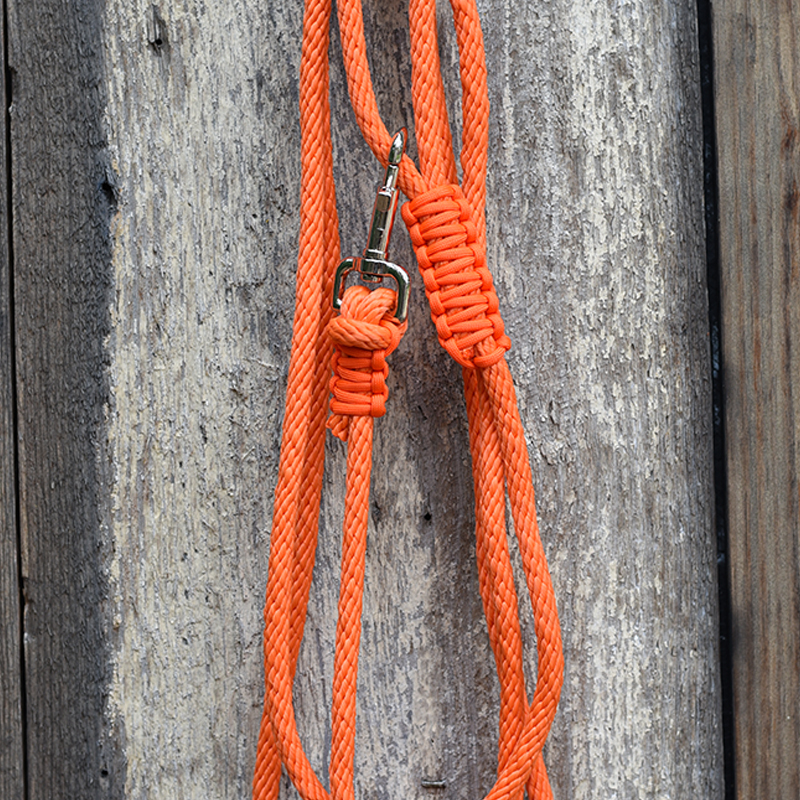 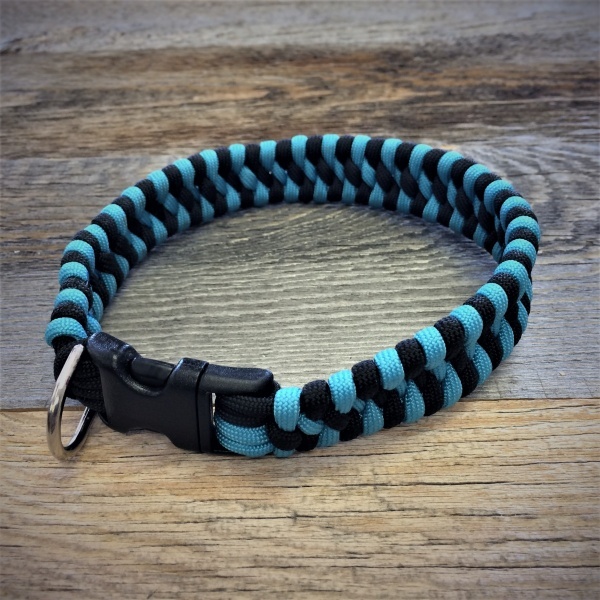 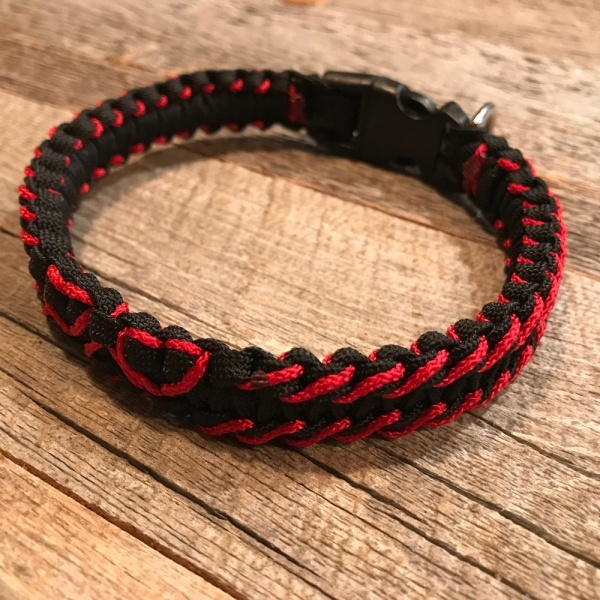 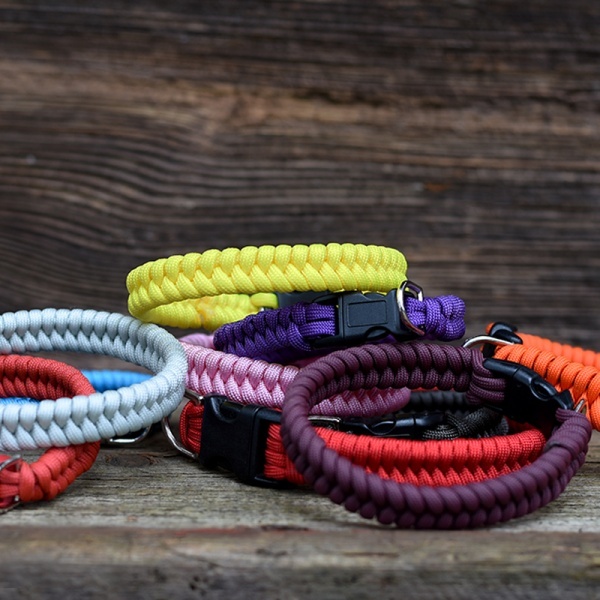 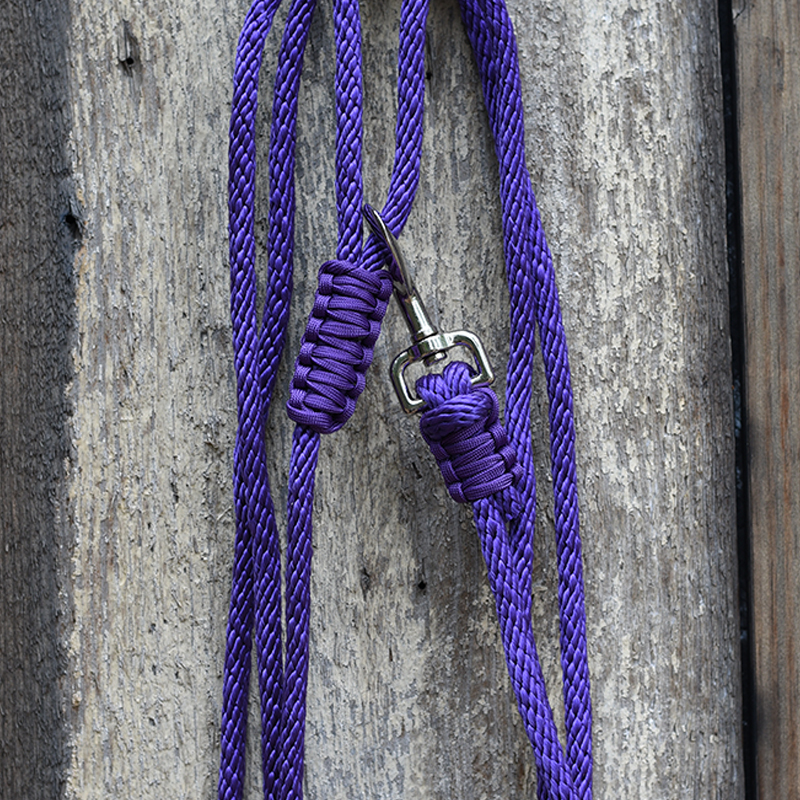 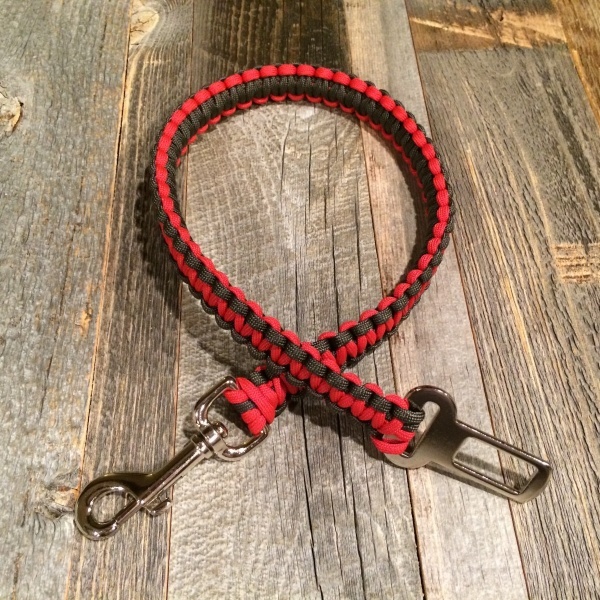 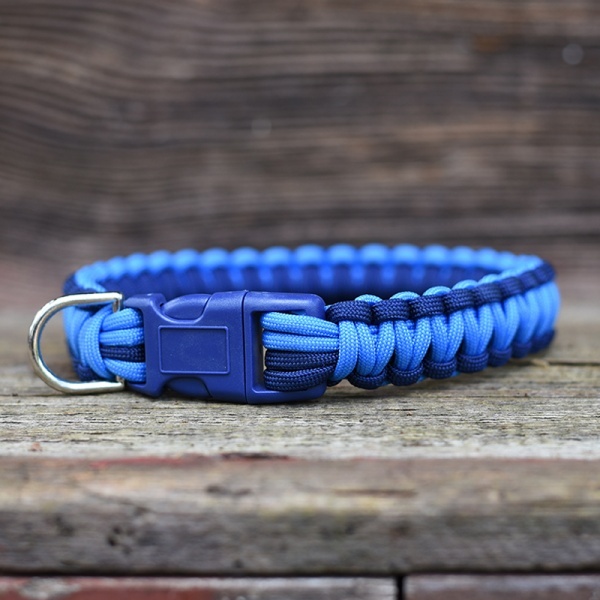 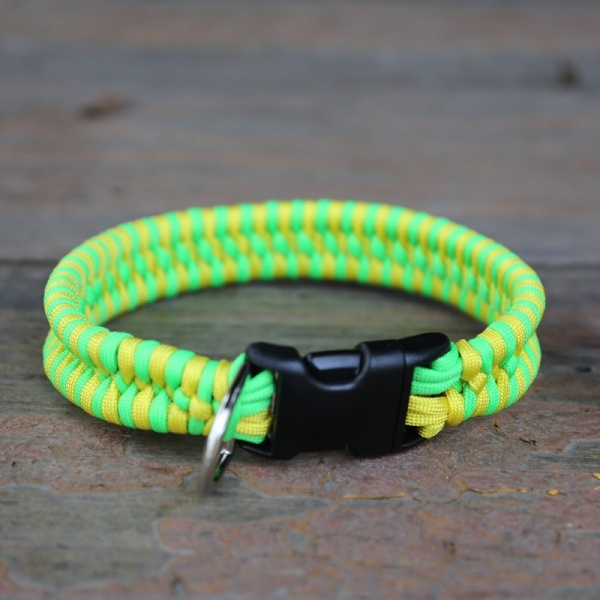 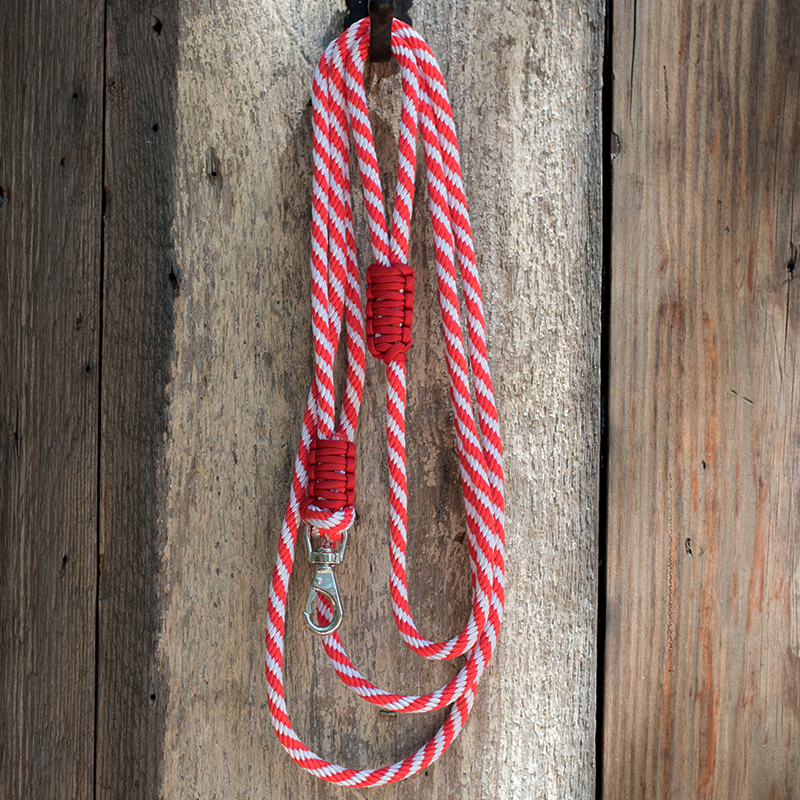 Great for the dog that loves being in or around the water, these floating rope leashes are made of polypropylene rope with accents of 550 paracord done in a Cobra Weave. 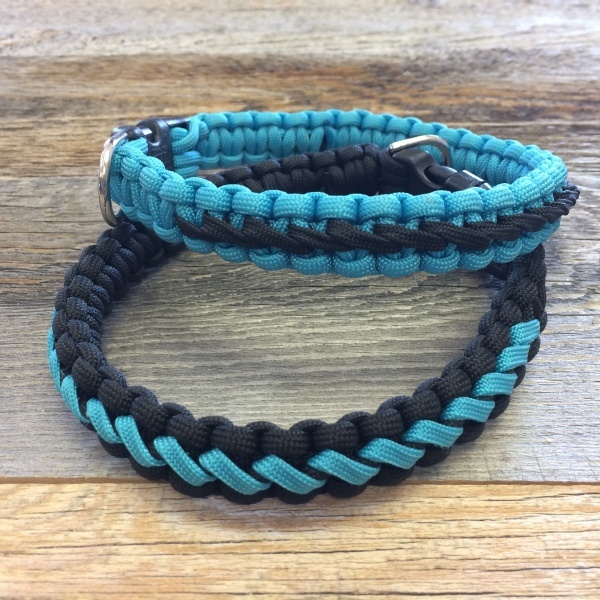 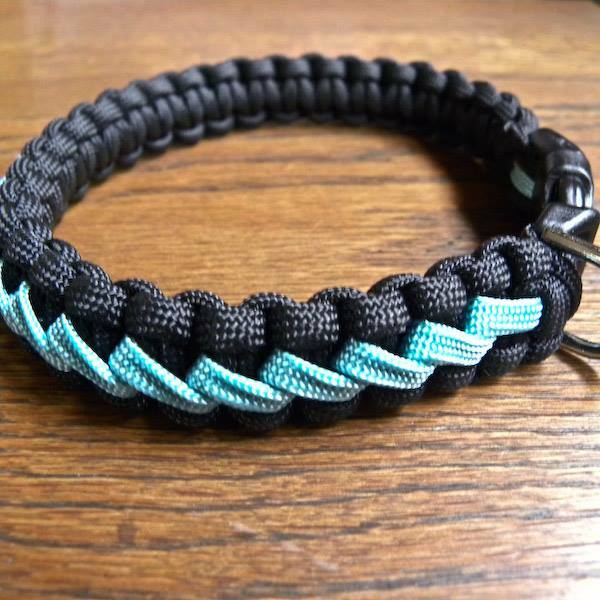 You choose between either one or two colors for the paracord weave from the wide variety available to select from. 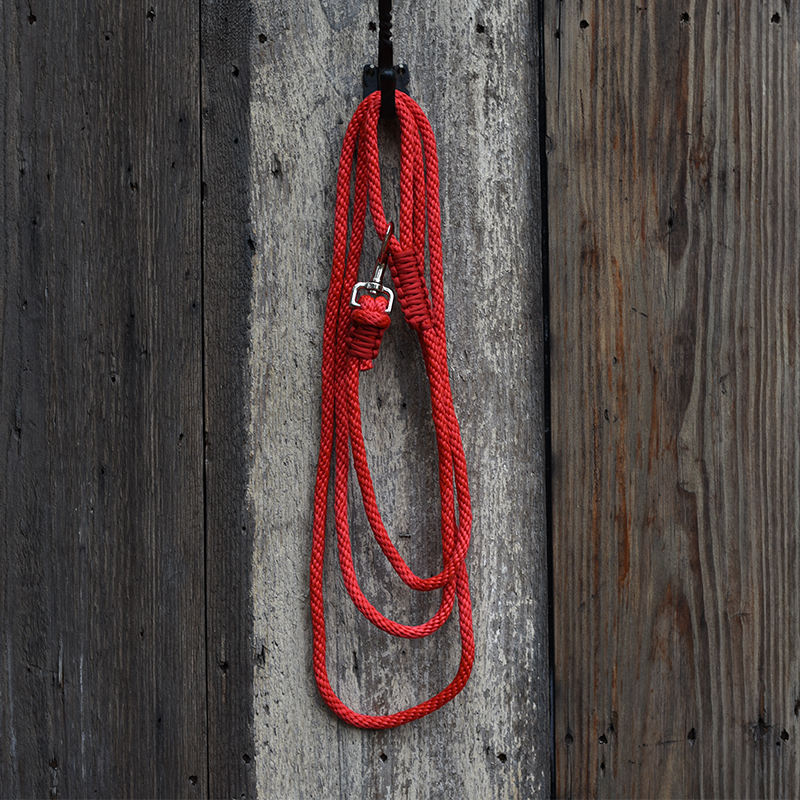 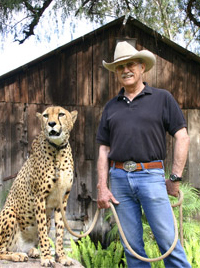 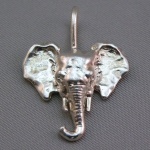 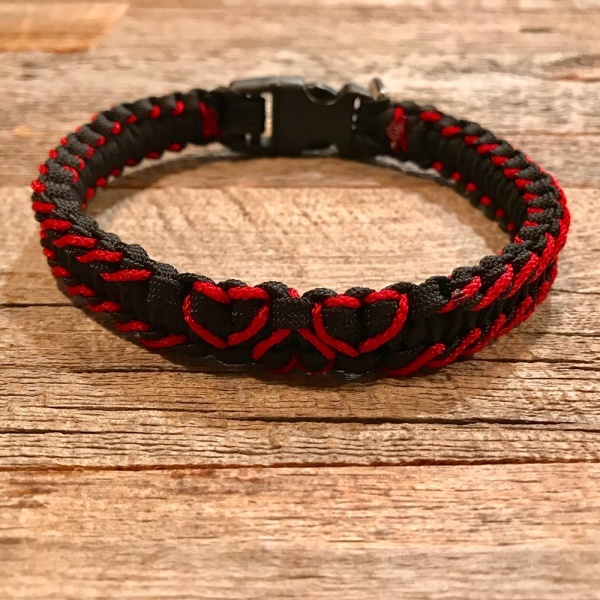 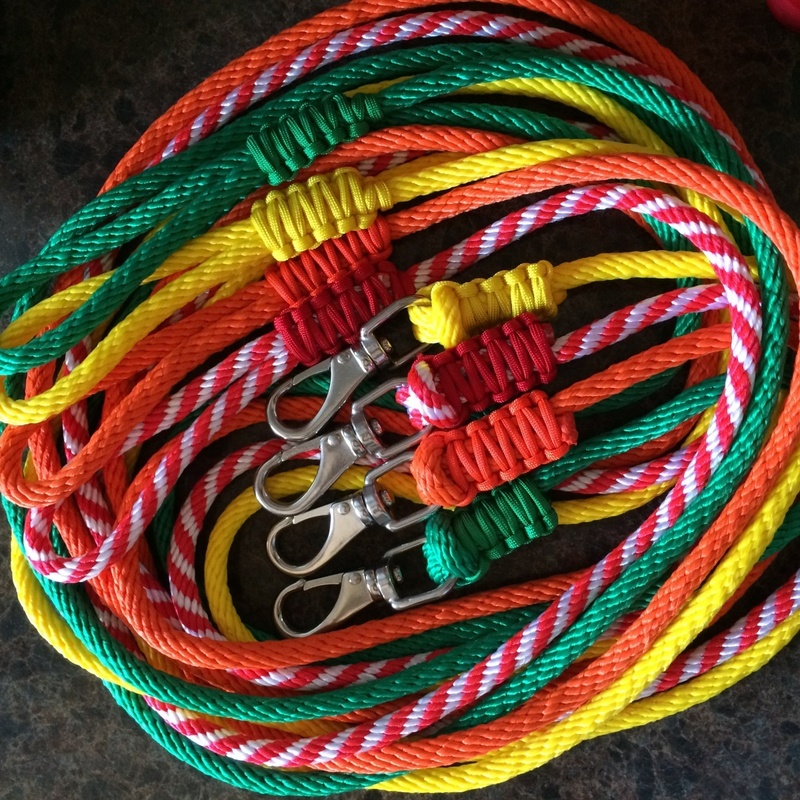 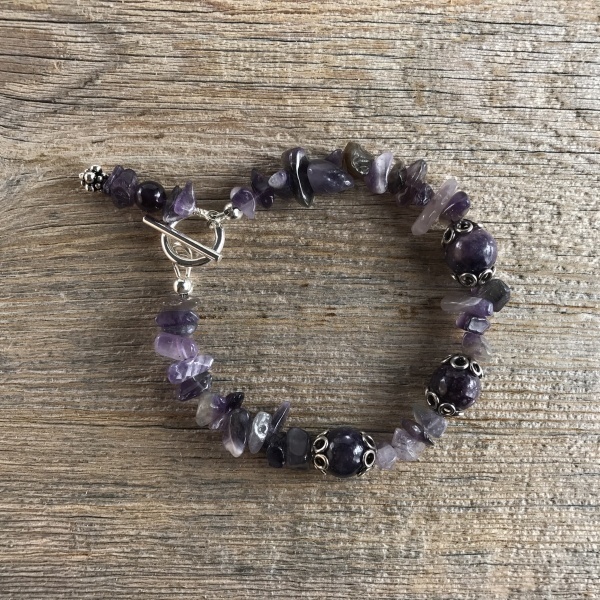 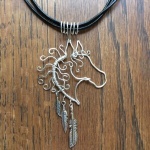 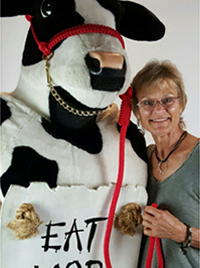 Leashes are standardly made in 10-foot lengths however custom lengths can be made. 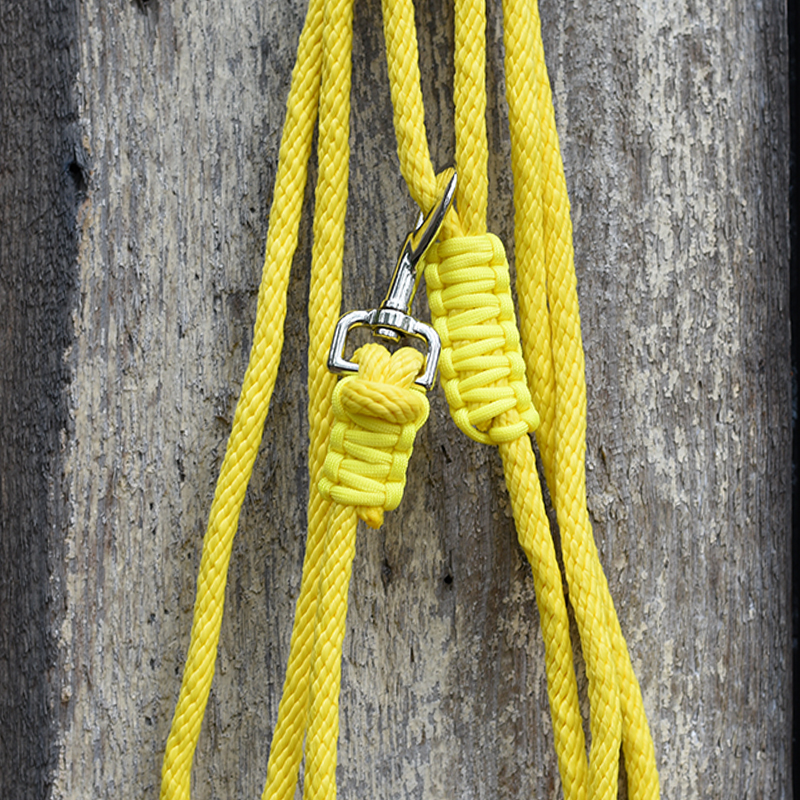 Polypropylene rope is designed not to rot and has good abrasion and UV resistance, allowing for the color to last the life of the rope. 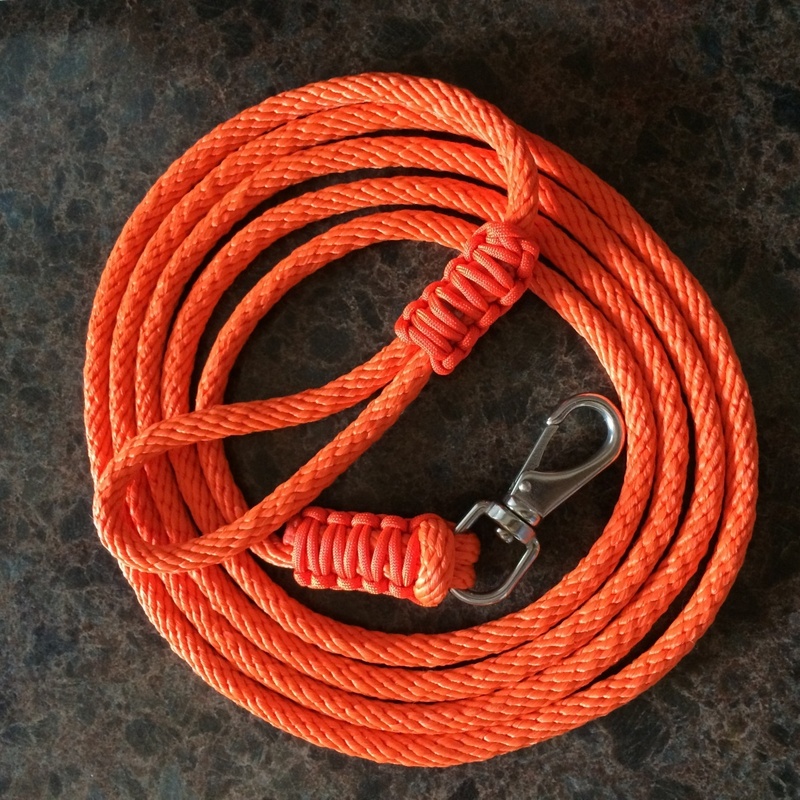 Knots 4 Kritters does not recommend leaving leashes out in the weather on a regular basis as some colors are more likely to fade in constant sunshine than others. 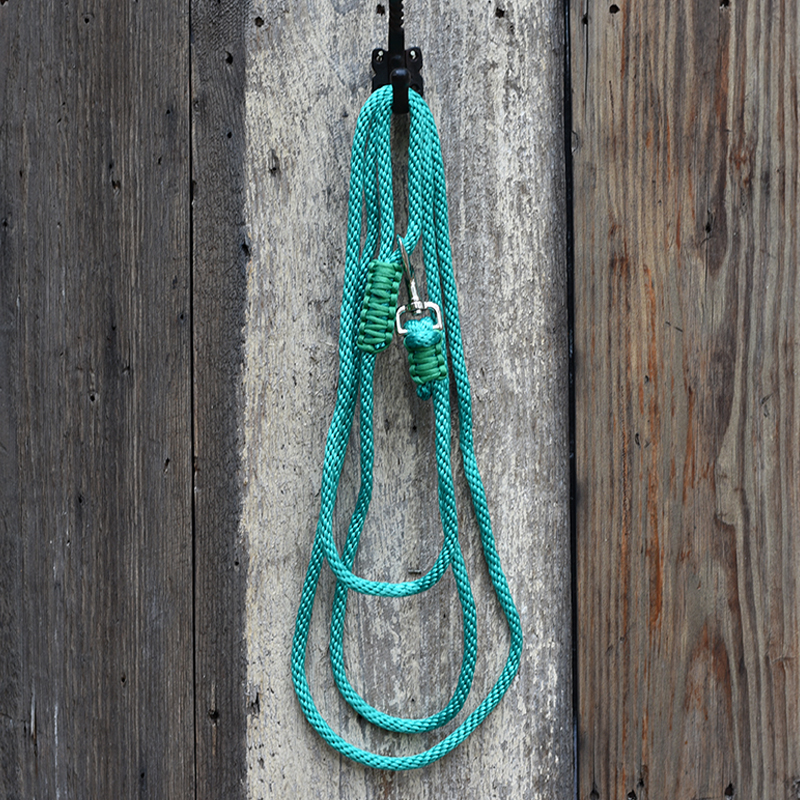 Lighter than Nylon or Polyester this rope also floats and has excellent resistance to oil, marine growth and most common chemicals. 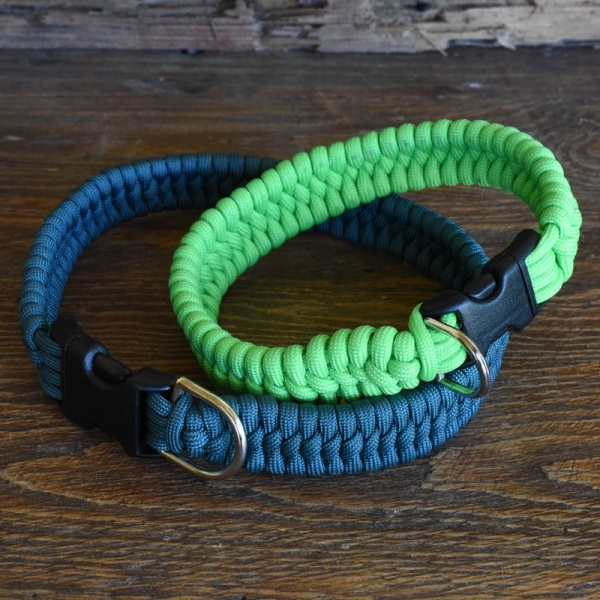 Clean leashes by scrubbing with a soft scrub brush using a mild soap or the same shampoo used to wash animals, rinse well afterward with clean water and hang to air dry.